The ambiance is wonderful. 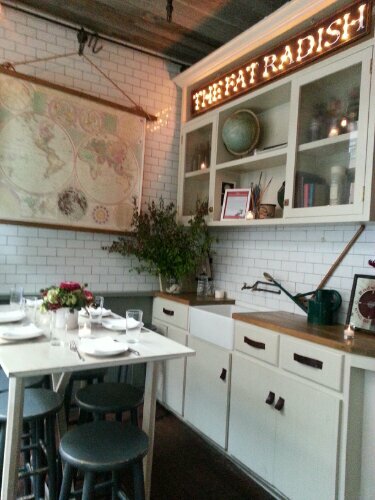 I absolutely adore the rustic decor, the white bricks & the harvest tables. I love everything about the place. The server was friendly & helpful. The food was presented beautifully. Unfortunately, the food was nothing spectacular. They give you a complimentary plate of radishes, which were surprisingly bitter & spicy. No one at the table liked it. 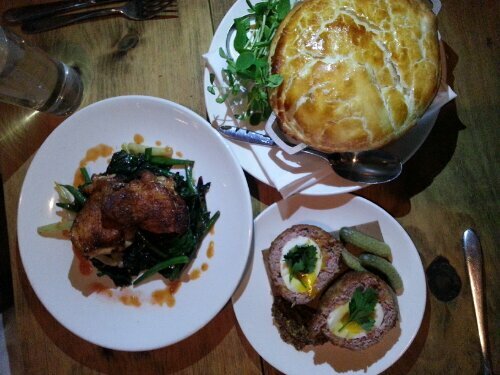 The most talked about item in the menu is the Scotch egg, which is an egg wrapped with sausage & deep fried. It comes with a delicious spicy mustard & cornichons (baby gherkin pickles). At $10 for one egg cut in half, it is a pricey appetizer, but one that was highly recommended. It was not oily whatsoever. The taste of the sausage & egg was mild. I was expecting it to be more flavorful, but I would still recommend you try it at least one. The pea pot pie had a flakey outer crust which was good. The filling of snap peas & green peas were flavored very lightly & it was on the sparse side. The kale Caesar salad was fresh. It came with crunchy croutons & 2 pieces of salty anchovies. This was a good started. The special appetizer of chicken thighs was pan seared giving it a slightly crunchy skin. The chicken was tender. This was a good choice, but it was a special & they change according to what is in season. The pork chop with couscous was on the dry side. I wouldn’t recommend this at all. The carrot appetizer was just a bunch of mixed carrots cooked blandly. The larger carrots weren’t completely cooked, which made for really crunchy carrots. The curried monkfish was cooked well, with a spicy kick to the flavors. We liked this dish. Overall, the experience was just okay. We felt the food fell short of the rave reviews. The ambiance & service were excellent though. Butcher Bar is an organic butcher shop that sells high quality, pasture raised, no hormone or antibiotic treated meats. They also serve BBQ to eat in as well. The place shop itself is very casual & clean. 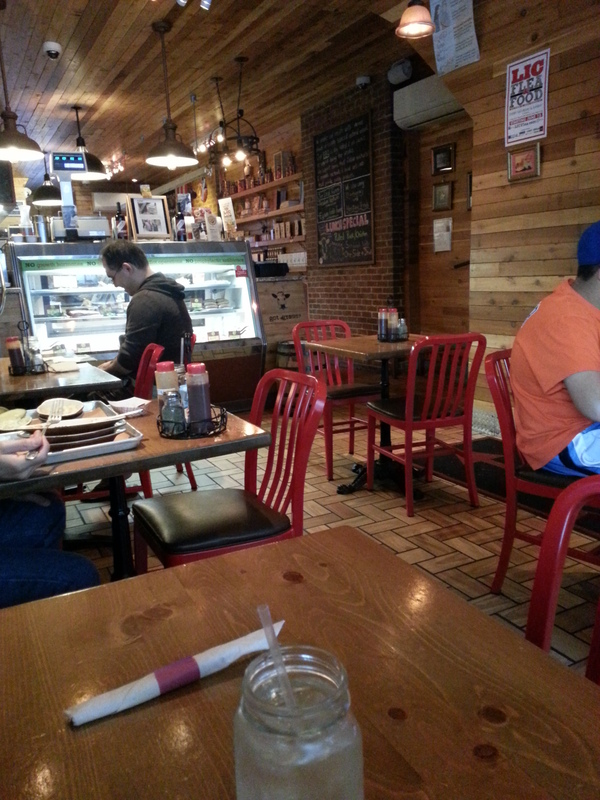 We were seated right away by a friendly waitress. 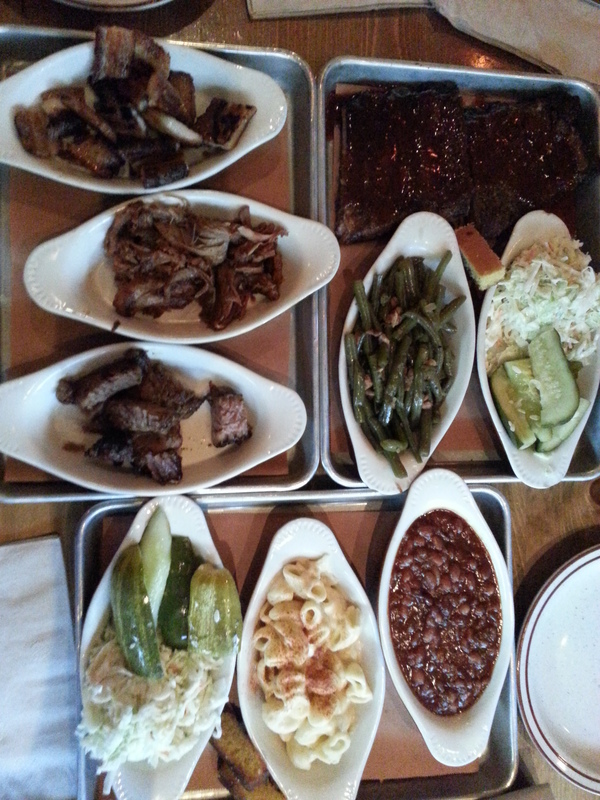 We ended up ordering the Butcher’s Platter (¼ pound each of any 3 meats & 2 sides). The 3 meats we chose were the Smoked Pulled Pork, Double Smoked Burnt Ends & Smoked Pork Belly. The 2 sides: Applewood Bacon Baked Beans & Creamy Mac & Cheese. 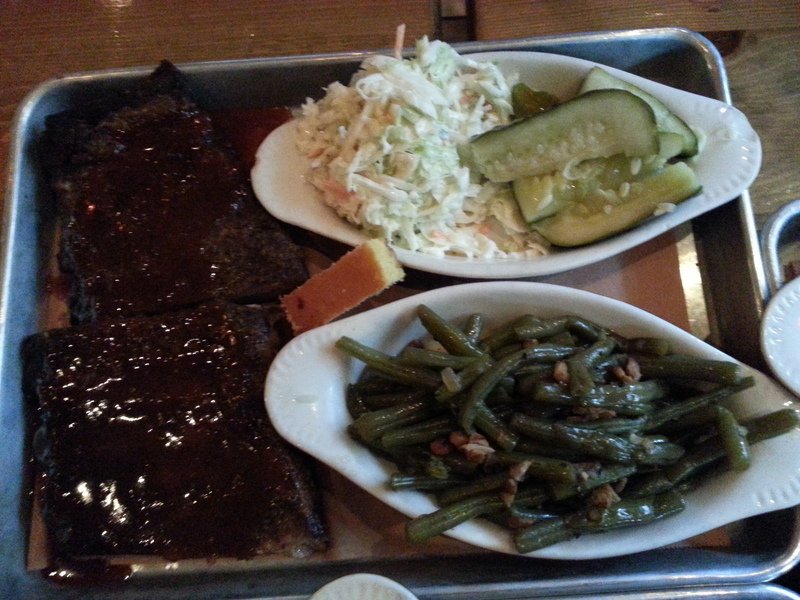 We also order ½ rack of the Fall off the Bone Sauced Smoked Ribs which came with house slaw, pickle, corncakes & one side, so we added the Sautéed String Beans (with bacon & onions). The food was very good. The ribs were definitely falling off the bone & had a nice bbq sauce slathered on it. 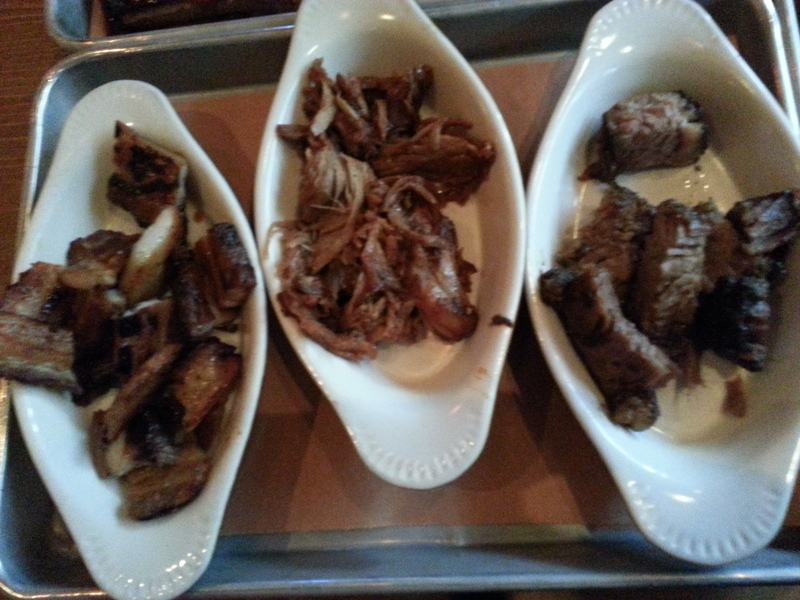 The pulled pork & burnt ends were tender & flavorful, although ¼ pound of each seemed very little for the price. 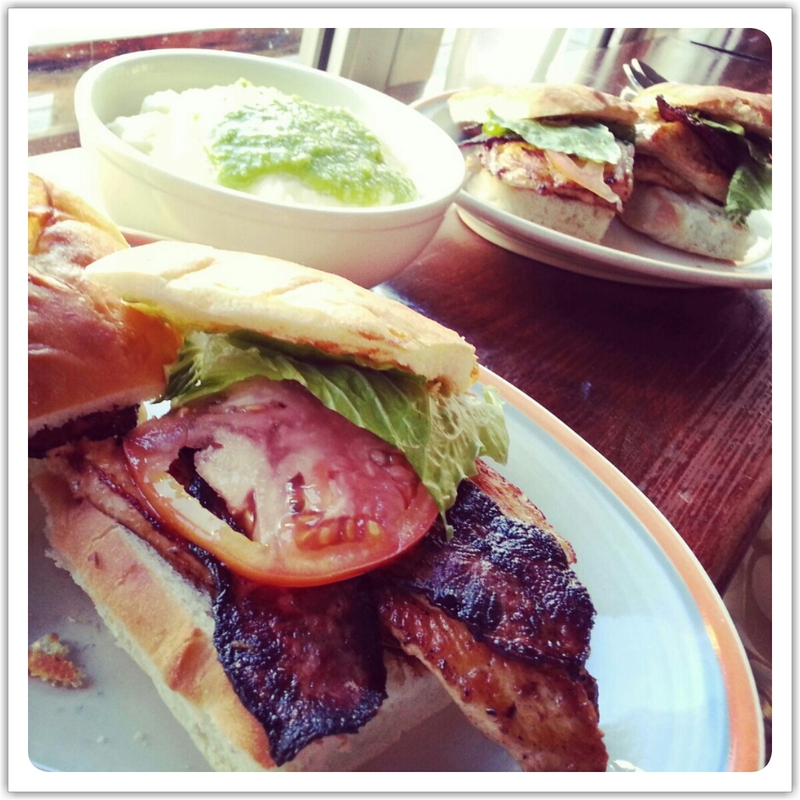 The pork belly was a disappointment because it turned out very salty & it was too fatty. 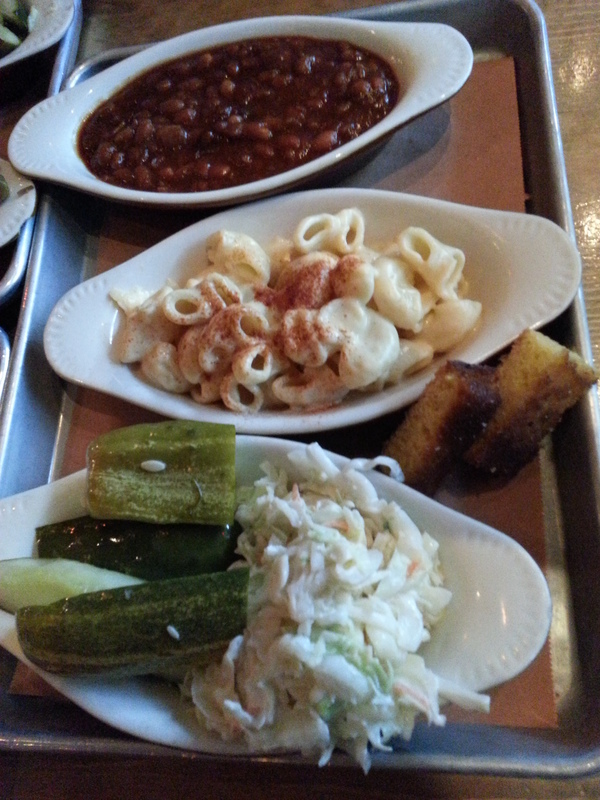 The baked beans, house slaw & pickle were all very good. The string beans & mac & cheese were nothing spectacular but still good.I would definitely come back here to try more of their menu items. And possibly shop for some organic meats as well. 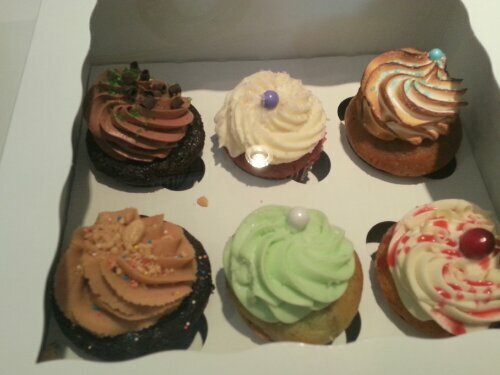 Before I talk about how amazing these cupcakes are, I’m going to post the AmazonLocal deal that is currently running. In the past, these have sold out quickly, so I’d recommend for you to grab one right away. This is a great value & the best way for you to try out their amazing cupcakes without having to pay the full price. And I can guarantee you that you’ll want to go back again & again after you’ve had your first bite. I cannot tell you how much I love the cupcakes at this place. I have to warn you, they are on the pricey side ($3.25-$3.50), but they’re totally worth it. 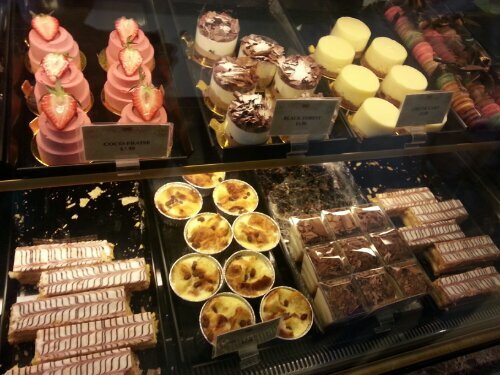 They provide sweet treats that you can indulge in once in a while. They have fluffy frosting that is not overly sweet, moist cake & there’s always a bit of frosting on the inside. They decorate everything so beautifully, so it’s a great treat to bring to a housewarming or for a birthday. They also make cake pops, cakes in a jar, French macarons, gorgeous custom designed cakes, couture dessert tables & many other sweet treats. The owner is super friendly & has a great work ethic. Everything she makes turns out gorgeous. The cupcakes are named after some of the popular fashion designers. Red velvet cupcake with their signature creamy frosting, which has a hint of almond oil in it. Pistachio cupcake with whipped pistachio frosting. Who doesn’t love a pistachio cake?!? Tiramisu cupcake, soaked with wine, espresso and coffee, frosted with creamy mascarpone frosting, topped with shaved chocolate. I am not a fan of alcohol or coffee, but when you put those 2 combinations in a cupcake, I’ll gobble it up in a second. This is probably my absolute favorite so far. I’ve tried many of their other flavors as well, but those have to be my absolute favorite. 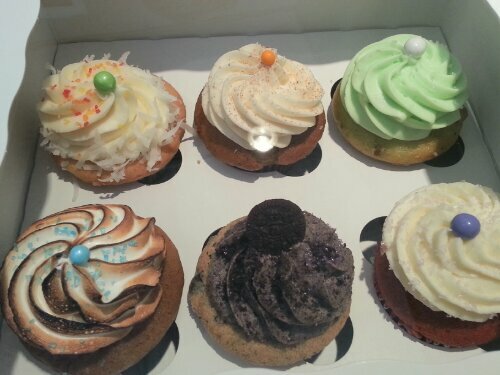 You’ve never tasted cupcakes like these before. It’s definitely a must-try. The store front is on the small side & there’s no room to sit in the store. You just order & leave. They are located next to the Golf store, right by the bus station. Make your way there, you will not regret it. Seriously, get the AmazonLocal deal now before it’s sold out. They’re so YUMMY!!!! The egg custard is best when it first comes out of the oven. It is smooth, creamy, tender, warm custardy goodness. Oh, words cannot describe how it tastes, but pictures can try to convey this to you. You can always re-heat them in the toaster oven, but they’ll never taste as good as when they first come out of the oven. Let’s talk about crepes. The hubby’s cousin brought us here over the winter. She was just there the night before, but she was more than willing to go again. Yes, she loves food just as much as we do. Hubby’s entire family loves food, so I guess I fit right in. This is a place for the young kids to hang out late at night. It was completely packed & there was a line streaming out the door. While waiting on line, we watched the people behind the counter prepare large plates of crepes with extra portions of whipped cream, cut huge pieces of cake & top with more whipped cream & make waffles with fruit, ice cream & drizzled with a generous amount of fudge. I was getting a little nervous by the huge portions & the amount of sugar I was about to ingest. We ordered the Moo La La. 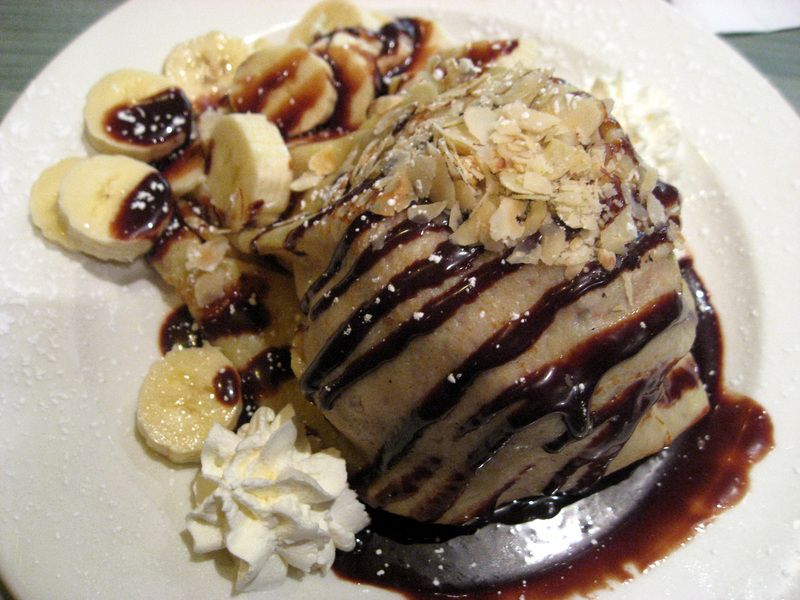 It’s a crepe filled with a huge serving of Nutella ice cream, bananas, almond slivers & drizzled with fudge. 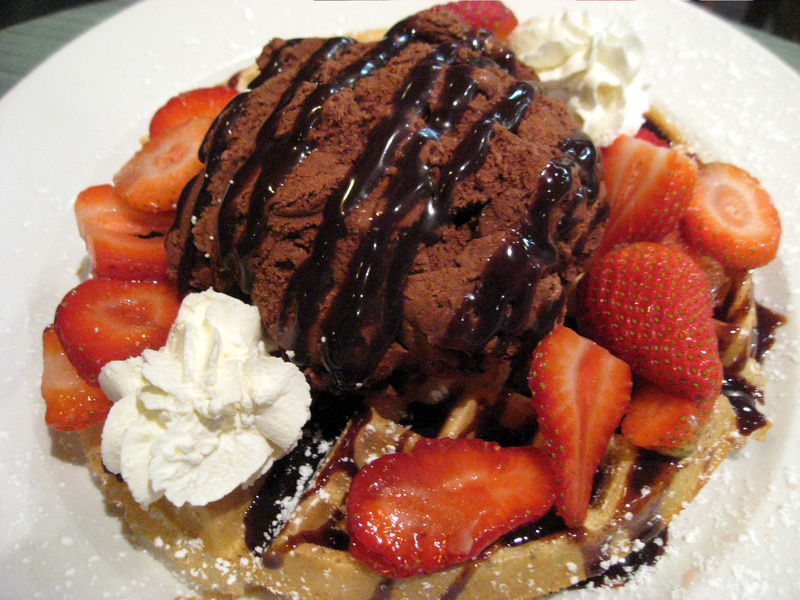 The other item we ordered was a waffle with chocolate ice cream, strawberries & whipped cream. Both were huge but the 3 of us devoured it & only left remnants of fudge on the place. The highlight was the homemade Nutella ice cream. Hubby’s cousin recommended this place to us. We were a bit skeptical about eating here because it looked like a complete hole in the wall. But, we were proven wrong. 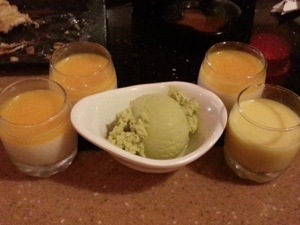 They specialize in soy beans (obviously) & we were blown away by their sweet tofu desserts. The creaminess of the tofu was unbelievable without any graininess whatsoever. They have most definitely perfected this recipe. Each bite was better than the last. We ate here twice last week. Oh, the gluttony. The hot tofu with ginger syrup (top right) was perfect for a cold day (we had this one earlier in the year). The slight spiciness from the ginger just warms your tummy. The cold tofu with coconut milk & tapioca (middle left) was so delicious that we went back the next day to order more. It’s only good if you are a coconut milk fan. We loved it. The hubby’s mom ordered the hot tofu with sesame (lower right). I wasn’t a fan of this one because the sesame soup was really thick, plus we ate it on a hot & humid day. I prefer the cold tofu on a hot day. These are world famous Egg Rolls. No, not the ones you get at fast food restaurants. These are crunchy, thin cookies rolled up. They start out using batter that resembles pancake batter. Then they put it on a machine that cooks the batter, almost like a crepe. Then these little ladies takes what looks like a curling iron & carefully folds them & roll them to the egg roll shape. A package contains 16 of these addicting egg rolls. We always end up bringing home at least a box or 2 (10 in a box). They also offer a flat version filled with dried coconut shred which is also good, but not as popular. This place is also famous for their eggettes or eggies or egg cakes. Whatever you want to call it, I’d call it delicious. These are made fresh & piping hot. You pull off one or two & pop them into your mouth. They have a slight crunchiness on the outside & a warm, soft center. Heavenly little pillows of goodness. I look like a crazed person, but I’m just crazy for the eggies!!! 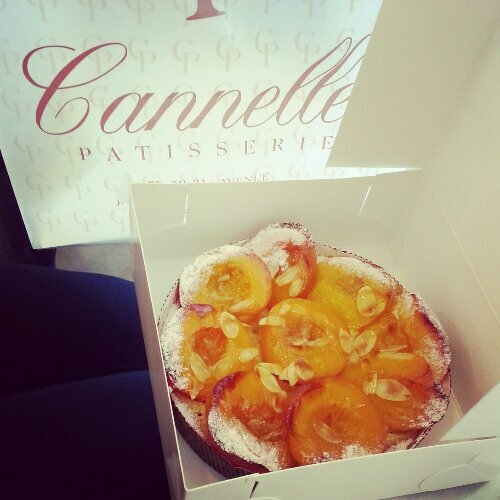 We only go here to pick up their scrumptious meringue cakes. 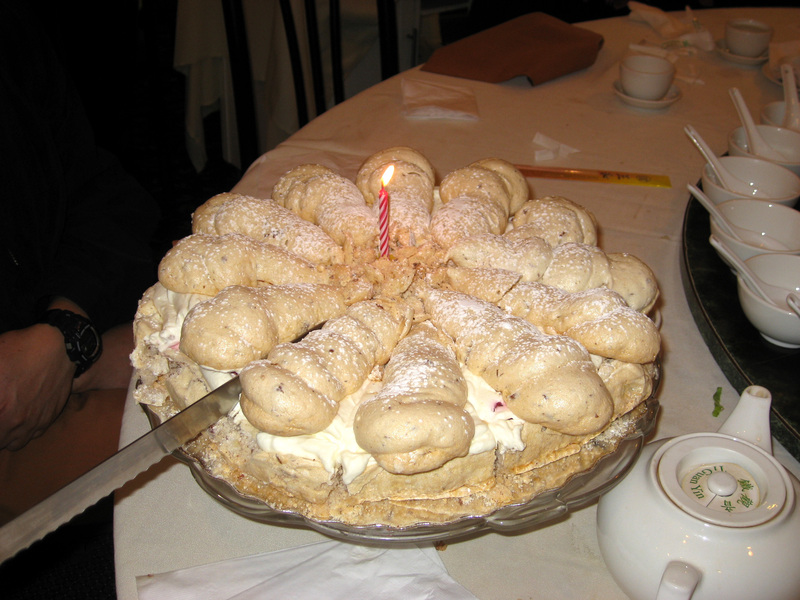 The cake is made out of meringue & almond pieces. They offer 2 fillings: strawberry or mango. Both are equally delicious, but we’ve been ordering mango more lately (it’s also my 1st choice). 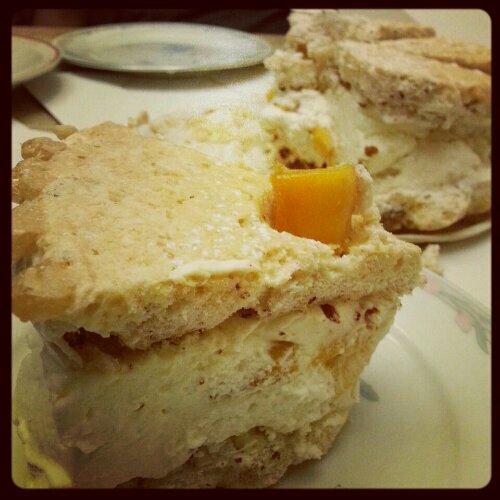 The filling is made up of unsweetened whipped cream & diced fruit. The meringue is sweet enough. 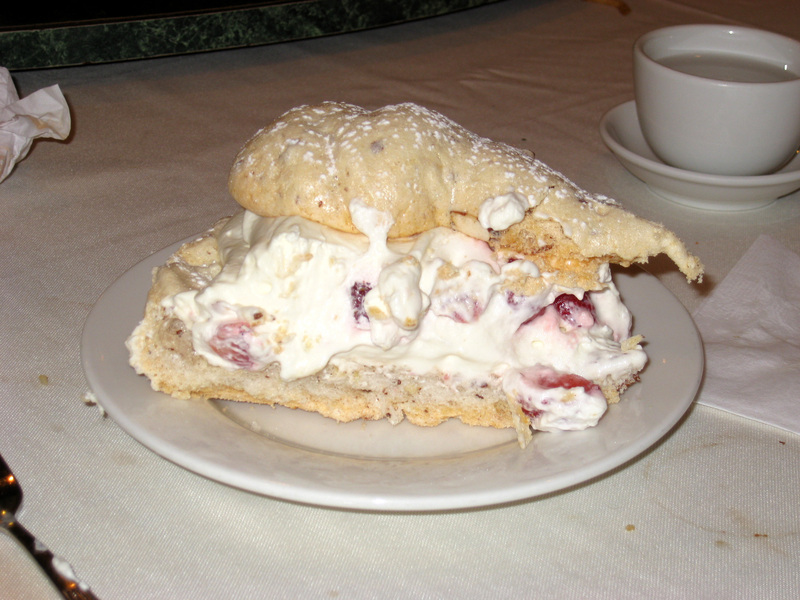 Sometimes tooth achingly sweet where I would cough from all the sugar, but it goes so well with the whipped cream & fruit that I’d still continue eating my piece. They offer 6″, 8″, 10″, 12″ & 14″ for $20, $28, $38, $59 & $60 respectively. 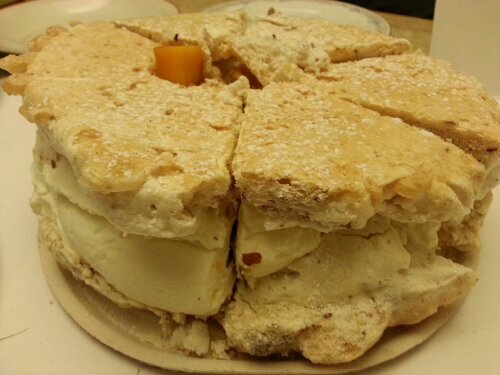 They pre-cut the slices for you because if you cut it yourself, everything would crumble & get smushed. Not a pretty sight but I’d still eat it if that happened! The large feeds 12 people, which is great for a large party, or 6 sugar addicts. It is on the pricey side, but it is another splurge we are willing to make. Oh, Canadia, why does everything taste so much better in Canadia?!? Matsuda is an all-you-can-eat Japanese buffet. They give you a menu & you put in your order. The place is wildly popular since the food is great with good service & of course, it’s all you can eat, which means every Asian & their mamas are here. Even on a weeknight, it’s packed, but it gets even crazier on weekends. The price is $2 cheaper on a Mon-Thursday at $21.99 for an adult. Weekends & holidays, the price goes up to $23.99. They have a good offering of raw foods as well as a whole bunch of hot foods such as robata (grilled items), salads, teppanyaki, noodles & tempura to accommodate those who don’t like raw. Now here comes the picture. There were many hits, but there were also a few misses. Let’s do a photo review of Matsuda. I couldn’t stop eating the Salmon & White Tuna Sashimi. 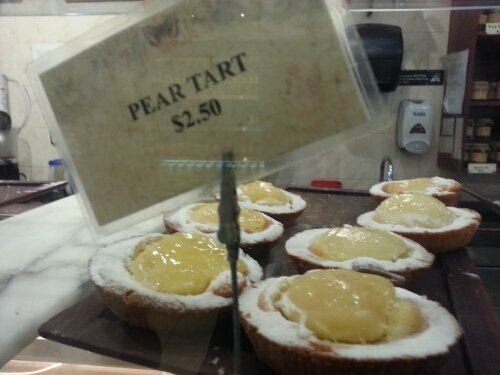 They were super fresh, came in large pieces & melted in my mouth. The Chawanmushi aka Steamed Egg was absolutely divine. It was so silky smooth, hot & delicious. This was such a perfect one person portion, but alas, I had to share with the hubby. We didn’t want to order more in case there were other goodies to fill our tummies, but this was possibly the best steamed egg I’ve ever had. 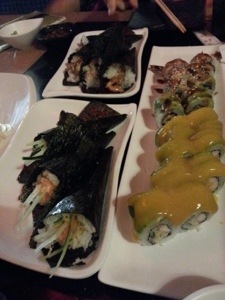 The Hand Rolls were good. They weren’t anything fancy. The Sushi Rolls were only okay because we had ordered cooked fish in them to accommodate grandma, so I didn’t eat too many pieces. 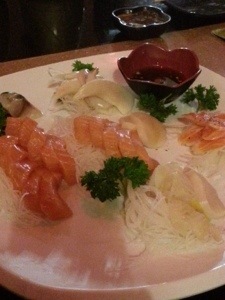 I think the raw fish would have been much better since the sashimi was really good. 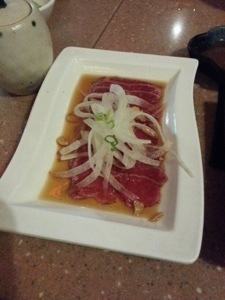 The Beef Tataki was sliced thin & was another absolute hit. It was so tender & flavorful. I know some people are afraid of raw beef, but this was another must order item on the menu. I didn’t try the Fried Mayo Shrimp. I was avoiding the fried foods since I have been eating too much lately. I think these were standard mayo shrimp that most Chinese restaurants offer. 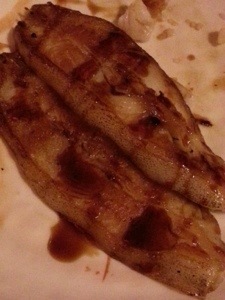 I don’t remember what fish this was but it was nicely cooked with teriyaki sauce. 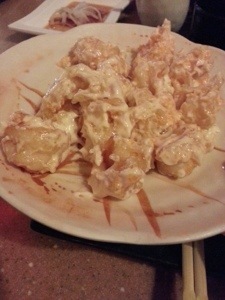 The Inari (sweet tofu sushi) was really good. They make them different from the ones I’m used to (the ones that they stuff rice into). This was some of the best Inari I’ve ever eaten. It was addicting. 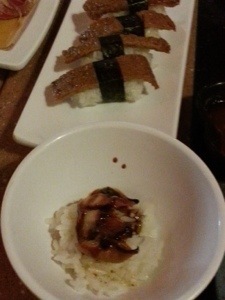 The Unagi Don aka grilled eel over rice was a tiny portion, but the eel was tasty. There was too much rice for such a small piece of eel though. This Avocado Seafood Salad sounded so good on the menu. They stated it takes 25 minutes to prepare. We ordered 4 in anticipation of this delicious yumminess. It turned out to be such a disappointment. The avocado wasn’t even seasoned, but if you’ve never had warm baked avocado, I would suggest you never to try it. It was disgusting. Some small bits of seafood were mixed into it, but it just did not work. We were majorly disappointed with this one. 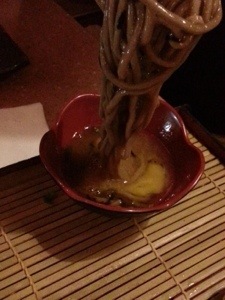 The Cold Buckwheat Soba Noodle was presented so beautifully. A tiny uncooked quail egg with the top of the shell cracked open. 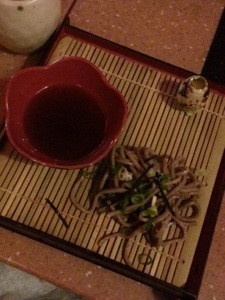 A plate of sauce & the soba noodles in a little box. You take the egg & mix it into the sauce, then you put all your noodles in & coat every strand, then you eat. Unfortunately, the dish was really under seasoned, so all you tasted was cold noodles. So there you have it. I hope you enjoyed my review & pictures. Happy eating! Put me in a T&T Supermarket & I will run rampant. An adult (namely me) in a T&T supermarket is the equivalent to a kid in a candy store. I can go buck-wild in this store. I can spend hours on end going up & down every aisle & then walking them all over again. There’s so much to explore. Some stores are bigger than others, but they all have great quality food. I am absolutely in love with this supermarket. 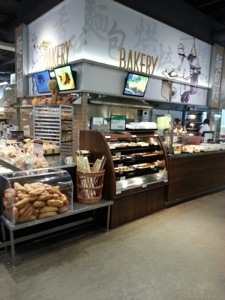 Upon entering the store, the first thing you’ll notice is the bakery. 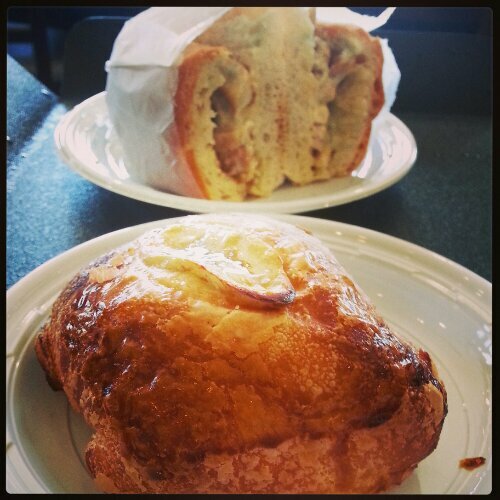 They bake all their breads & bun pastries fresh, daily. They’re so fresh that they can’t seal the bags because they’re still piping hot. You’ll have to grab a twisty tie when you grab a bag to close it up. That’s how fresh it is. 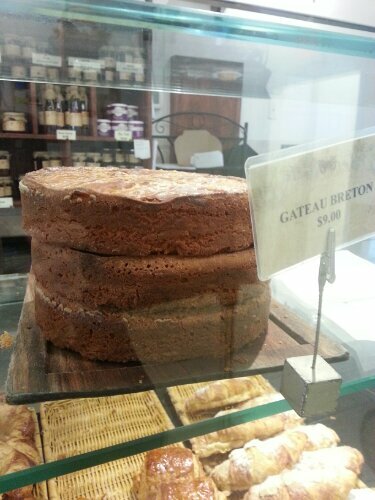 Seriously, these bakers are so skilled in their craft. Everything is tender soft. 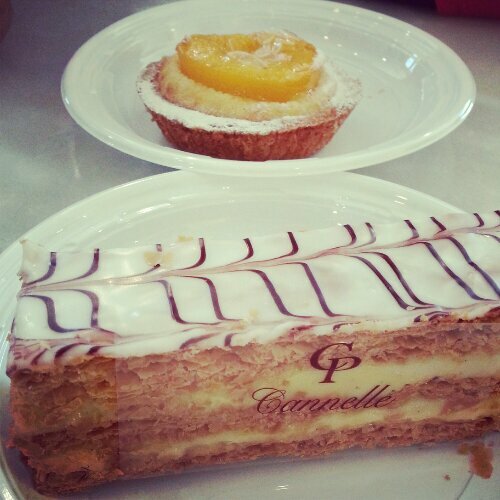 The fillings are always delicious & never overly sweet. You can’t go wrong with anything you pick up. 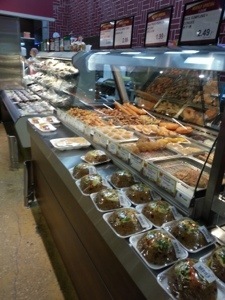 They also have a vast section devoted to hot & cooked foods. You can get roast pork & soy sauce chicken over rice, dim sum items, sushi, Vietnamese sandwiches, steamed buns, sweet tofu dessert, egg tarts & lots of other Asian food items. 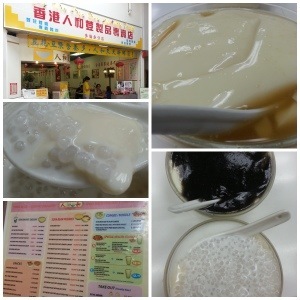 They even offer tapioca drinks & soy milk. After all that, then you realize this is a supermarket! 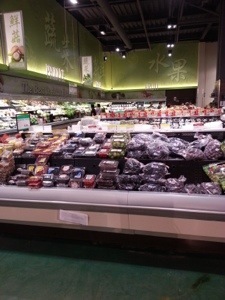 There’s fresh produce & fruit, frozen items, baking items, sauces, meats, fresh seafood & so much more. 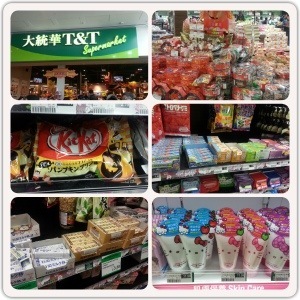 They have an extensive snack section for Asian cookies, candies, chocolates & potato chips with weird flavors that you don’t usually find (i.e. curry, sushi, roasted chicken, okonomiyaki, & seaweed flavors). Some stores even have a whole beauty section with imported items from Hong Kong, Korea, China & other countries. All the packaging is so cute! The Milliken location in Scarborough has a food court. These are restaurants not associated with T&T. We went there for breakfast before we headed back to NY. The food at Original Congee restaurant was delicious. 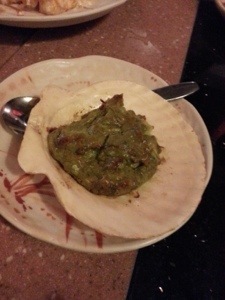 They were Hong Kong style dishes, which I love. Fast, cheap & good food. 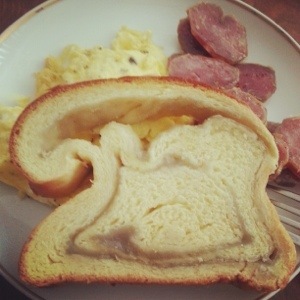 This kind of food makes me wish we did live in Canada…sometimes. 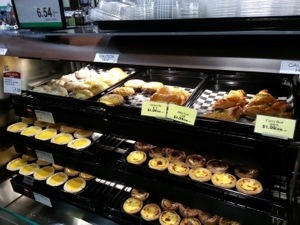 Visiting a T&T supermarket is always on our agenda when we visit Canada. 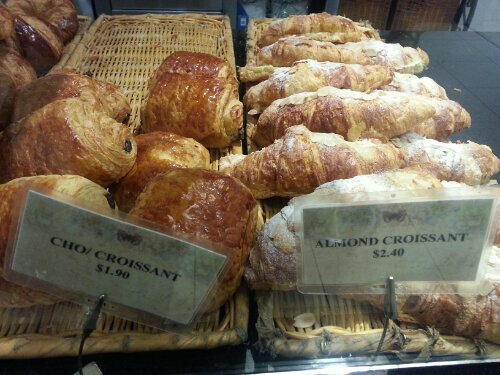 We always shop on the last day so we can bring back some fresh baked goodies on the ride home. If you want high end dim sum in the Markham area of Canada, then Casa Victoria is the place for you. 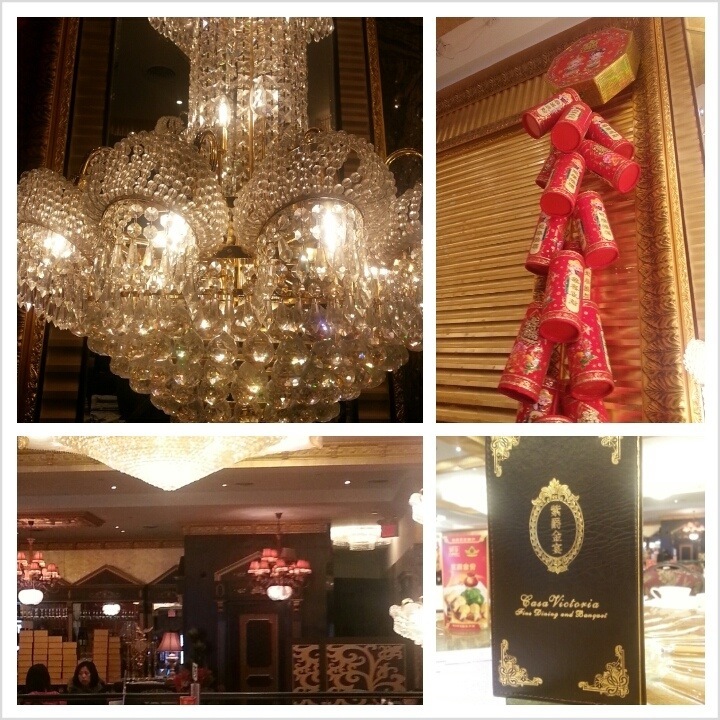 The restaurant is elegantly decorated, the food is excellent & the prices matches the quality of the food. It is definitely on the expensive side, but if you want to indulge, then this is the place to do it. The restaurant is very popular during lunch time, so if you plan to go, you’ll most likely have to wait for a table. 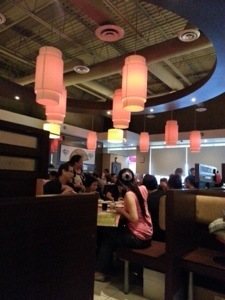 The place is quite large, but it fills up quickly because the Asian community really love their dim sum. 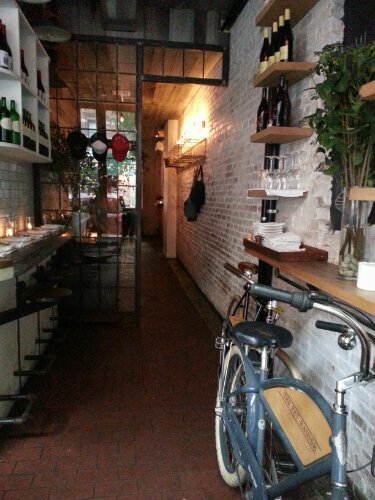 It is a madhouse during the weekends, but if you go early or on a weekday, you might luck out with a table. Spare ribs, fried tofu rolls, beef ribs, fried dough rice roll (can’t remember what was in the 2nd rice roll), chicken feet, beef tripe, sui mai & har gow. 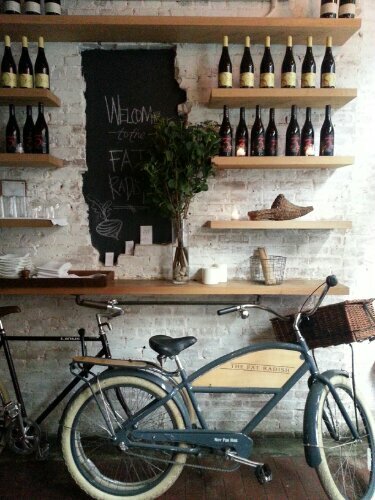 The food is amazing here & it is a place you should try at least once. Everything is made to perfection. From the thin, freshly made silky smooth rice rolls to the finger licking good beef ribs to the har gow which is 3x bigger than your normal shrimp dumplings, you will not be disappointed. We absolutely love it here. If you are in the area or plan to visit, this is a must try. Hubby & I trek to Canada a few times a year to visit his relatives. It’s almost always a food eating fest when we get up there. Our plans always revolve around food. The Asian foods up there is by far some of the best we’ve ever had, even compared to foods in Hong Kong. 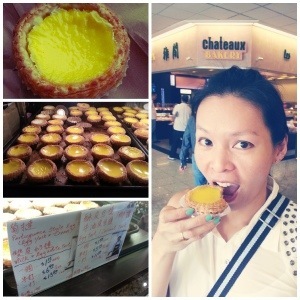 Let’s go on a little food tour of Markham/Scarborough area in Ontario, Canada. This area is about a 30 minute drive from downtown Toronto. It is densely populated with an Asian community; therefore, there are tons of Asian restaurants & shopping centers in the area. Let’s start with Dim Sum. 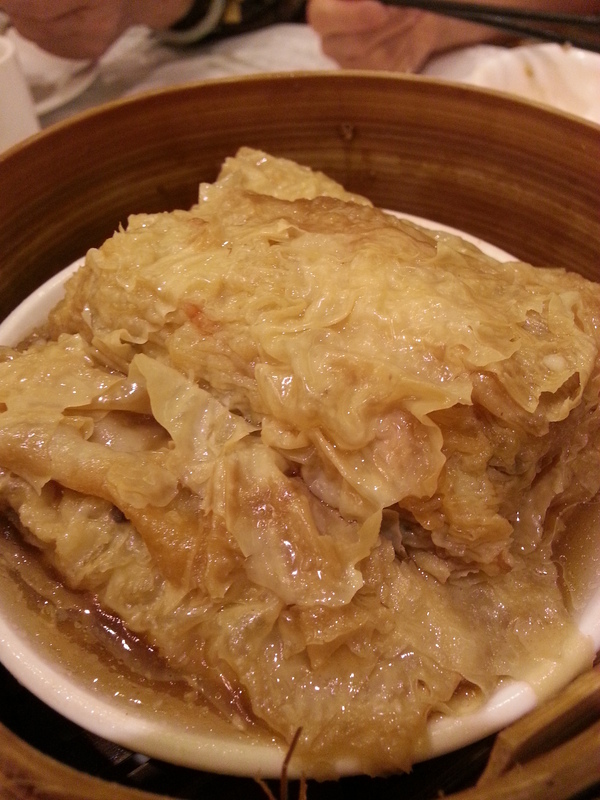 You cannot go to Canada without having eaten at least one or two meals of dim sum. 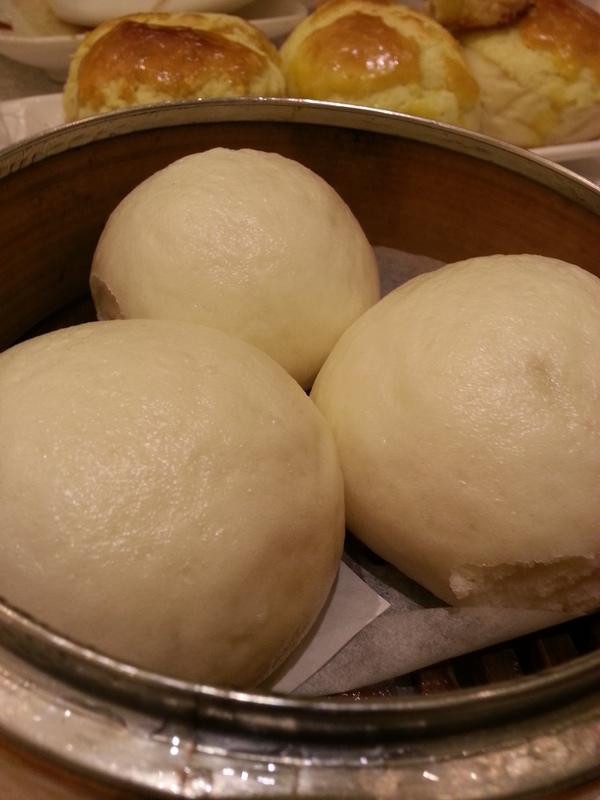 I once ate 5 consecutive days of dim sum, which caused a major dim sum overdose. I would not recommend that unless you are a die-hard fan of dim sum. 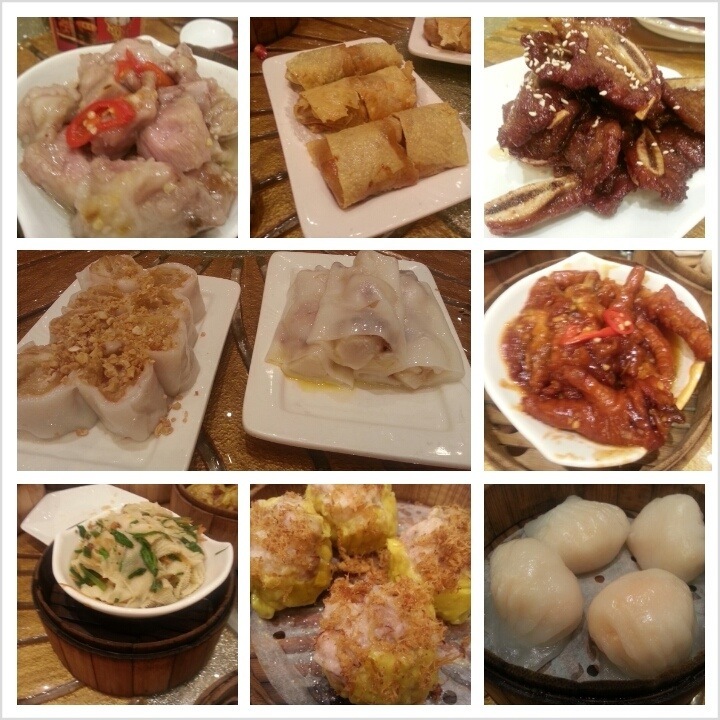 Dim sum, translated, means “touch your heart.” It’s is the Chinese version of tapas. Usually, little ladies push food carts around the restaurant & you pick & choose what you want. They are small plates of food so everyone can try a little piece or 2. TIP: If you get here before 11am & put in your order (they have a sheet to pick & choose what you want), all the dishes is one price. Usually, they go by S, M or L. The small being cheaper & the large being more expensive. Get there early to save some money & also you’re most likely to get a seat because it gets crazy in there with long wait times if you are a large party. 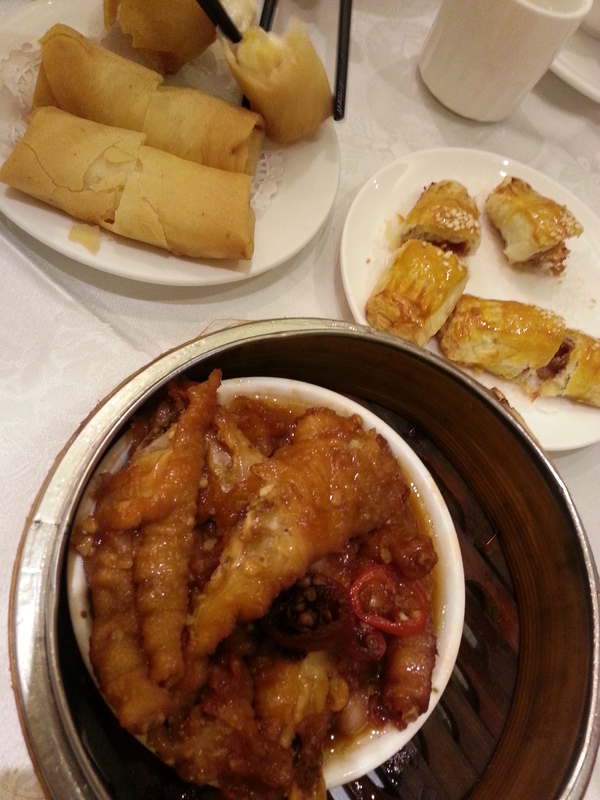 Chicken Feet (bottom)– This is marinated in a fatty lard sauce. Some people have an aversion to chicken feet, but I love it. It’s so tasty. You pull off the skin with your teeth & spit out the bones. I’m a classy lady, so I love spitting out bones in front of everyone. 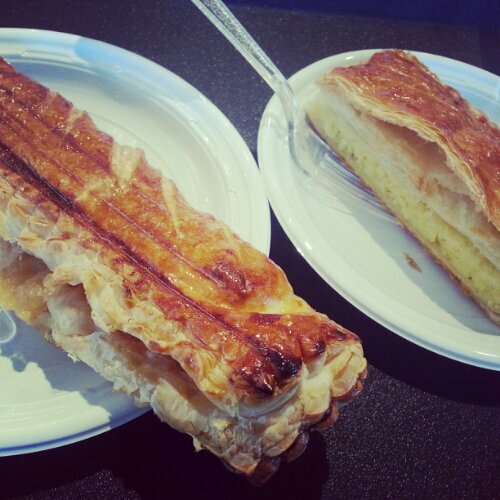 Roast Pork wrapped in phyllo (right)– flakey crust filled w/ Chinese roast pork. These were smaller than the triangular ones we usually get, which means less filling for us. Boo. Vegetable Spring Roll (upper left)– grandma likes this dish so we ordered it. Not sure what the fuss is all about but she really likes them. 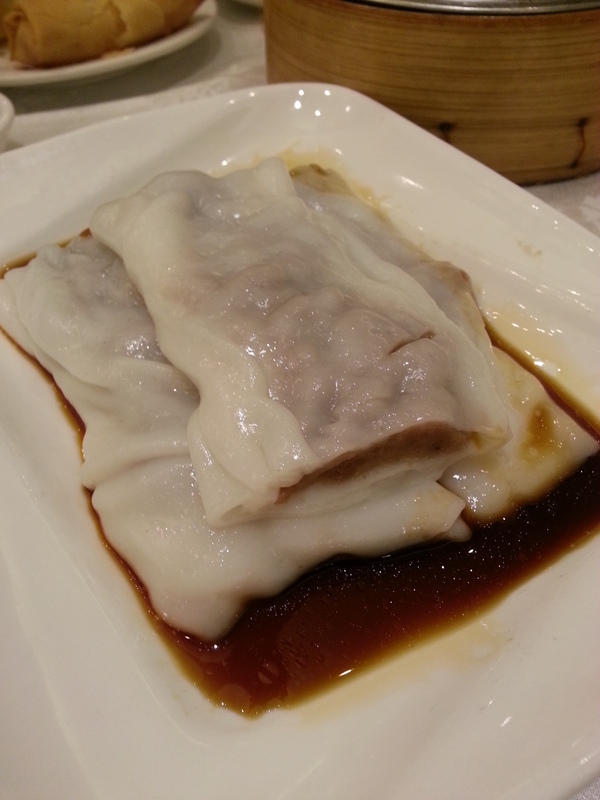 Beef Rice Rolls – this is a standard dim sum dish that most everyone orders. It usually comes with beef or shrimp drizzled with soy sauce. 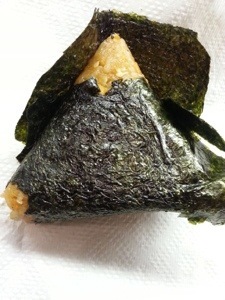 You’d want the rice wrapping to be thin yet soft & silky. 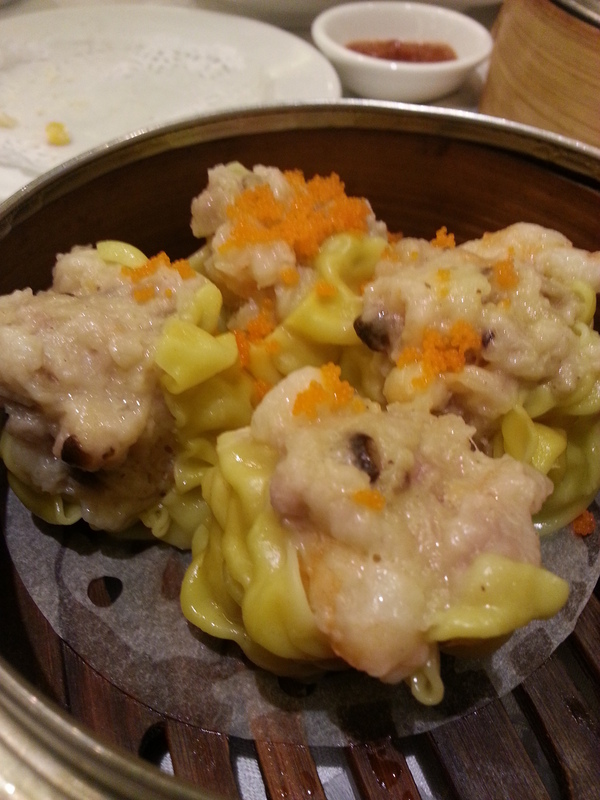 Sui Mai – Pork filled steamed dumplings. 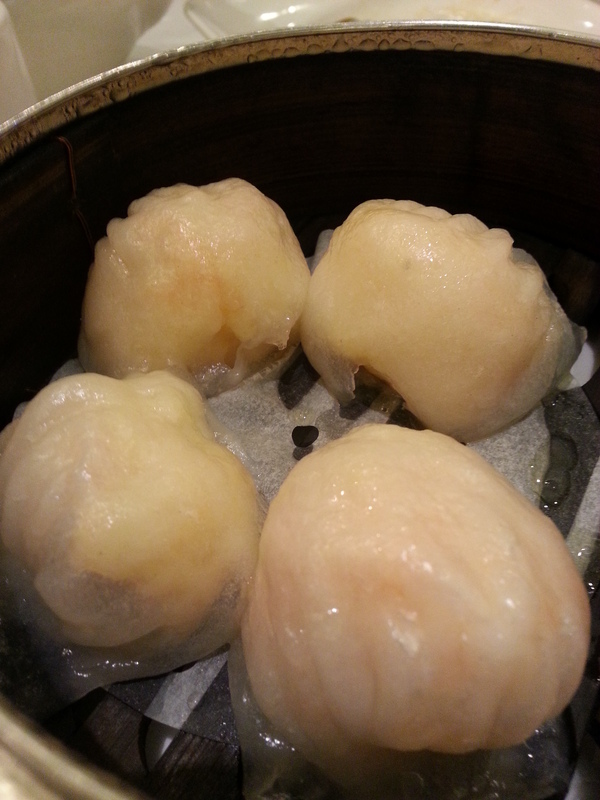 Har Gow – Shrimp dumpling in a thin, translucent wrapper. 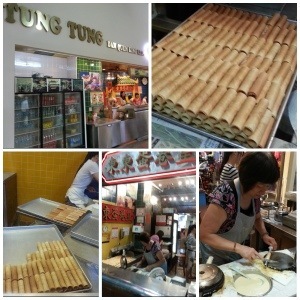 Tofu skin wrap – These usually have veggies inside & either chicken or pork. I think this one had chicken. I absolutely loved this. It was so delicious that I think I ate the whole dish by myself. 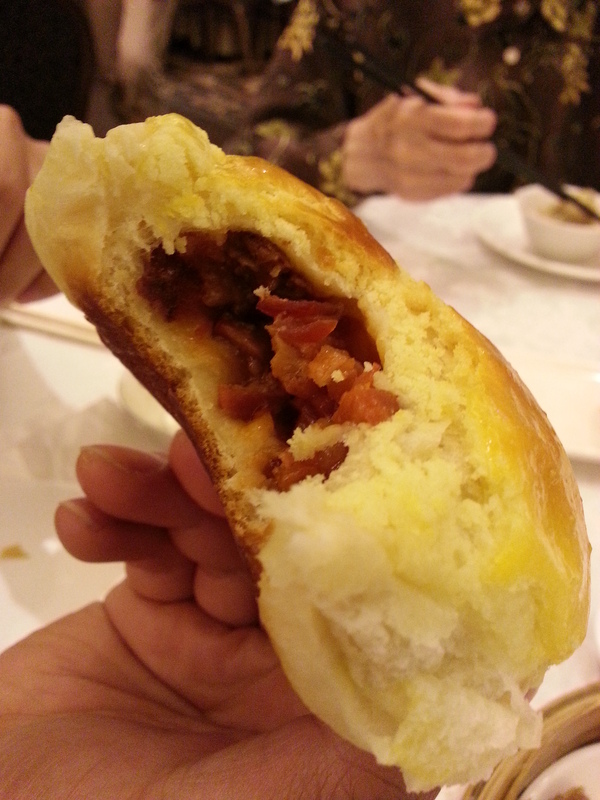 Pineapple bun filled with Roast Pork – there isn’t any pineapple in this bun. The name comes from the cookie like crust on top that resembles a pineapple. 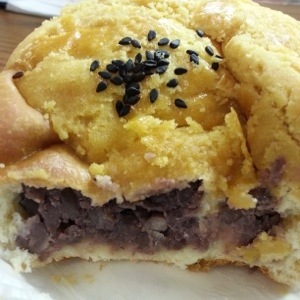 The crunchy topping, soft bread & the tasty roast pork filling were so incredibly satisfying. 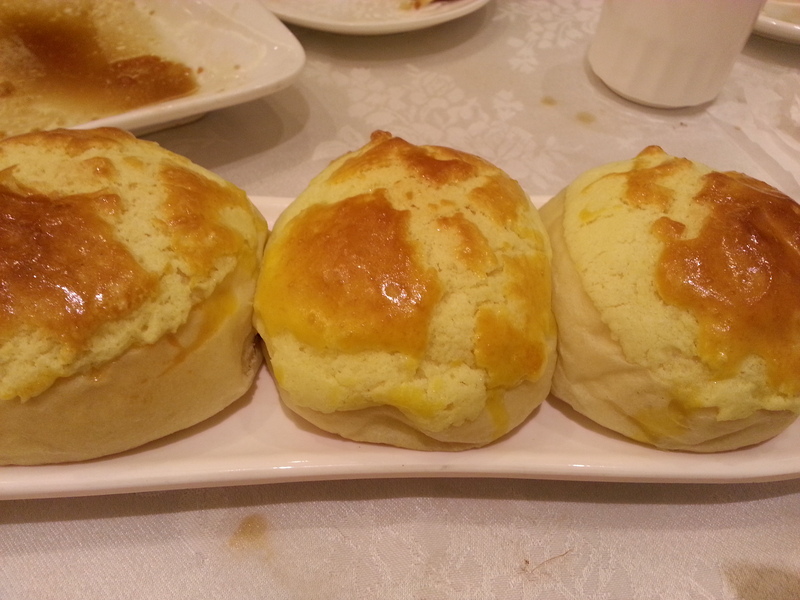 Custard buns – In Chinese, these are called “leaky sand” buns & they should come piping hot. 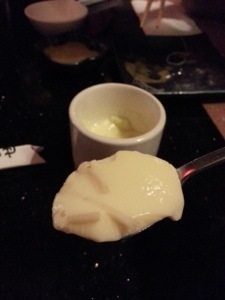 When you bite into it, the custard is supposed to leak out if made properly. These were decent. Note: the standard tip in Canada is 10%, but you can always tip more if you’d like. That was a good start to our day in Canada. The rest of the day was devoted to more gluttony. More updates to come! 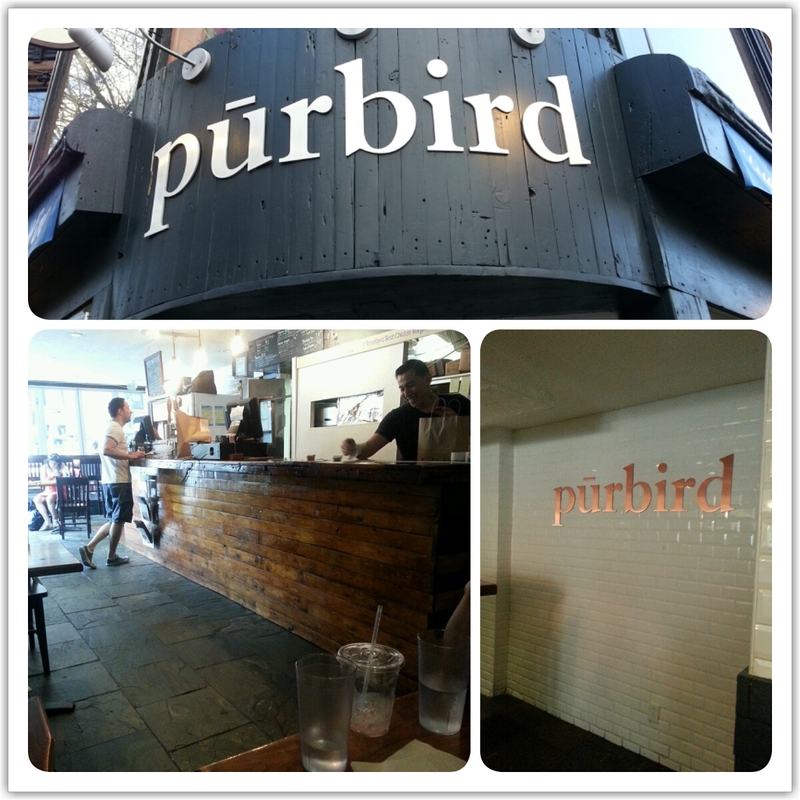 Purbird, located in the North Slope area of Brooklyn, was highly recommended to me by my brother & SIL, so I had to go try it. I’ve been back twice already & I love it more every time. It’s not a fancy place. You order at the counter & they bring it to your table. It’s as simple as that. Their specialty is the Amish farm-raised chicken, so you must order anything with the chicken. The staff are all super friendly & helpful if you’re not sure what to order. Everything is very affordable & they make a killing with their take-out business. Their best seller is the Chicken Breast Sandwich which comes with grilled chicken breast, avocado, turkey bacon, lettuce, tomato & mayo on a toasted roll. I ate the Chicken Breast Sandwich both times. I couldn’t help myself. It was good & I wanted more. 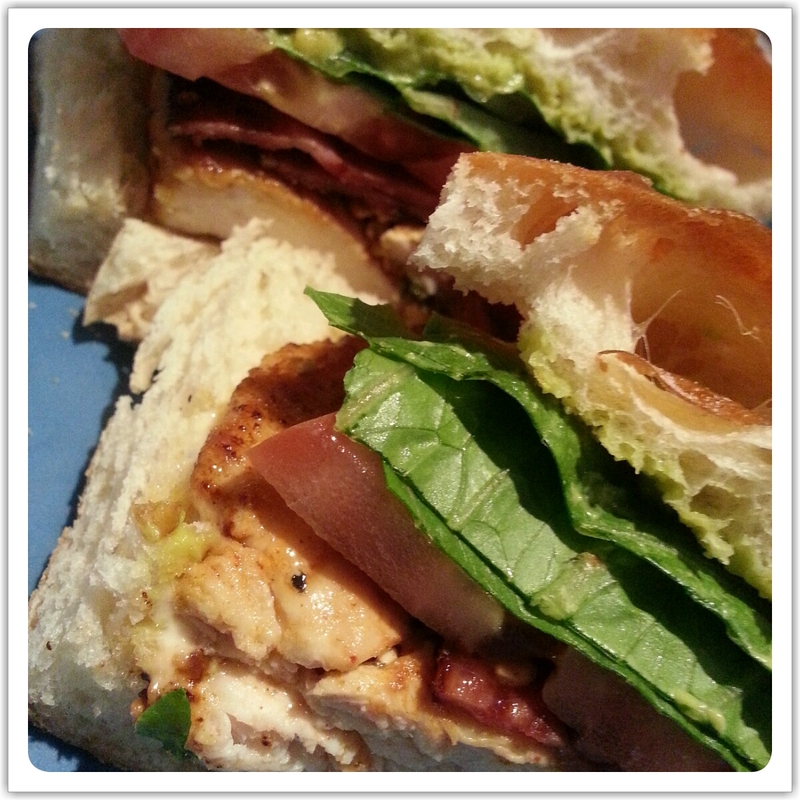 The chicken is moist & tender, the toasted roll adds a nice crunchy/soft bite, the avocado adds creaminess, and anything with the word (turkey) bacon in it makes everything taste better! If you don’t mind spicy, I’d suggest a side of the Jalapeno Mashed. It’s their mashed potatoes with a jalapeno puree. The jalapeno kick is amazing. I, reluctantly, had to share with my friend. I tried my best to eat only 50% of the dish, but it was so tasty that I think I entered the 60% territory. I’m so sorry, but I just couldn’t help myself. They also have a sweet potato mash which is just as good. It is very creamy & smooth. I even scooped a dollop right into my sandwich. I have a bad habit of mixing my foods together to create a different taste/texture. For example, I’ve been putting chips into my sandwich since 1995, which was way before Bobby’s (Flay) Burgers came out with their Crunchified burgers. He ripped off my idea. Yep. What a jerk! I digress. The creamed spinach was a really fresh & tasty side as well. I love this place. 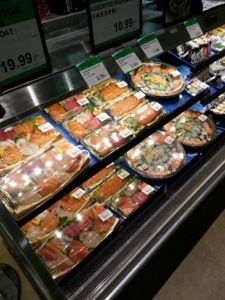 It’s good, inexpensive, fresh food, done right. I’m sure you’ll love it, too.